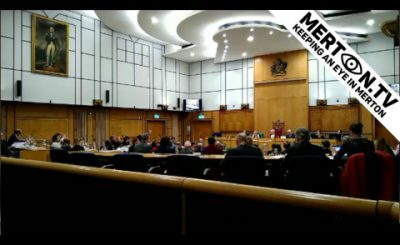 Merton Council have now started recording a few meetings (intending on showing approx 18 a year – Merton TV has done more than that in a couple of months). Apologies for absence were received from Councillors Foley and Quilliam. RESOLVED: That the minutes of the meeting held on 12 September 2018 are agreed as an accurate record. The Mayor provided a brief update on her mayoral activities since the last meeting, in particular thanking those involved for organising the remembrance weekend in November and highlighting the forthcoming Mayor’s Charity Christmas meal, Christmas Carol Service and New Year Service all of which still had tickets available from the Mayor’s Office. The Leader announced that he would be inviting Councillor Moulton, Leader of the Opposition to make an announcement. Councillor Moulton announced that the nomination for Mayor-elect for the 2019/20 municipal year would be Councillor Janice Howard. The responses to the written public questions were circulated prior to the meeting. The Mayor then invited each of the questioners in turn to ask (if they wished) a further question to the Cabinet Member. A copy of the supplementary questions and responses will be included in the ‘public questions to Cabinet Members’ published document. The Strategic Theme report on Children and Young People with a focus on Bridging the Gap was moved by Councillor Braund and seconded by Councillor Irons. Councillors Bailey and Benbow also spoke on the item. The motion was moved by Councillor Moulton and seconded by Councillor Barlow. The Labour amendment as set out in agenda item 29 was moved by Councillor Fraser and seconded by Councillor Alambritis. The Labour amendment was put to a vote and was carried – votes in favour: 57, votes against: 0, abstentions: 0. The substantive motion (as amended) was then put to a vote and was carried unanimously. And we have made a commitment as a Disability Confident employer. We will build on the work we do partnering with schools or colleges to provide coaching through quality careers advice, enrichment experience and / or mentoring to people from disadvantaged backgrounds or circumstances. We will further provide structured work experience and / or apprenticeships opportunities to people from disadvantaged backgrounds or circumstances. We will continue to assess employee recruitment practises to ensure they promote a level playing field for people from disadvantaged backgrounds or circumstances. The motion was moved by Councillor Cooper-Marbiah and seconded by Councillor Sally Kenny. The Liberal Democrat amendment as set out in agenda item 27 was moved by Councillor Fairclough and seconded by Councillor Bokhari. The Liberal Democrat amendment was put to a vote and fell – votes in favour: 5, votes against: 52, abstentions: 0. The Conservative amendment as set out in agenda item 28 was moved by Councillor Gretton and seconded by Councillor Omar Bush. The Conservative amendment was put to a vote and fell – votes in favour: 17, votes against: 40, abstentions: 0. The original motion was then put to a vote and was carried – votes in favour: 40, votes against: 17, abstentions: 0. That 91% of Merton’s schools have been rated Good or Outstanding by Ofsted, and results continue to improve. The Chancellor’s Budget announcement for £400 million for schools to spend on ‘little extras’ as insufficient compared to the £2.5 billion that has been cut since 2015. Furthermore, the £400 million is a one off payment so does not deal with the long term funding crisis in schools. Councillor Crowe presented the report which was received by the Council. The motion was moved by Councillor Holmes and seconded by Councillor Draper. The was then put to a vote and was carried unanimously. At the most recent meeting of the Wimbledon Community Forum on 27thSeptember, residents expressed their concern at the lack of progress in transferring Morley Park from Berkeley Homes to Merton Council. Residents ask that the Cabinet Member for Regeneration, Housing and Transport report to the next Wimbledon Community Forum on how they propose to bring negotiations with Berkeley Homes over Morley Park to a rapid conclusion and open the park consistent with the planning consent. Councillor Dehaney presented the report which was received by the Council. Councillor Cowper presented the report which was received by the Council. Councillor Chung presented the report which was received by the Council. The motion was moved by Councillor McGrath and seconded by Councillor Kohler. The Labour amendment as set out in agenda item 30 was moved by Councillor Whelton and seconded by Councillor Alambritis. Councillor Latif spoke on the item. The Labour amendment was put to a vote and was carried – votes in favour: 52, votes against: 0, abstentions: 5. That Wimbledon town centre is a major shopping, commercial and leisure location for all our communities. The motion was moved by Councillor Williams and seconded by Councillor Holden. Councillors Southgate and Allison spoke on the item. Under Paragraph 8.13 of Part 4A of the Council’s Constitution, Councillor Williams made a Point of Personal Explanation in response to comments made in the debate which he felt had misunderstood the content of his earlier speech in respect of intention behind the motion. The motion was put to a vote and fell – votes in favour: 22, votes against: 32, abstentions: 2. The motion was moved by Councillor Mundy and seconded by Councillor Henry. The Conservative amendment as set out in agenda item 23 was moved by Councillor McLean and seconded by Councillor Ormrod. The Liberal Democrat amendment as set out in agenda item 24 was moved by Councillor Bokhari and seconded by Councillor Fairclough. The Liberal Democrat amendment was put to a vote and fell – votes in favour: 24, votes against: 33, abstentions: 0. The original motion was then put to a vote and was carried. Though slavery was abolished in the UK in 1833, there are more slaves today than ever before in human history. Figures from the International Labour Organisation (ILO) suggest that there are more than 40 million people in modern slavery across the world, with nearly 25 million held in forced labour. There were 3,805 victims of modern slavery identified in the UK in 2016. A rising number but still well below the 10,000 and 13,000 potential victims estimated by the Home Office. Modern slavery is happening nationwide. Traffickers and slave masters use whatever means they have at their disposal to coerce, deceive and force individuals into a life of abuse, servitude and inhumane treatment. This can include sexual and criminal exploitation. That action needs to be taken to raise awareness of modern slavery and the fact that it is happening all over the UK. That the current support for victims is not sufficient and needs to go beyond the 45 days they are currently given by the government. To adopt the Co-operative Party’s Charter against modern slavery to ensure our procurement practices do not support slavery. To consider the wider impact of modern slavery on the borough, and work to ensure that all forms of modern slavery are eliminated in Merton. The motion was moved by Councillor Macauley. The Mayor advised the meeting that the 3 hour mark was approaching and that the Council would be asked to vote to extend the meeting to conclude the remaining business on the agenda; and that if the vote fell, the guillotine would come into effect at 10.15pm and the remaining items of business would be voted on in turn with no further discussion. The motion was seconded by Councillor Skeete. The proposal was then put to a vote and was carried unanimously. The Mayor advised the Council that the meeting had been extended and the business would continue. The Conservative amendment as set out in agenda item 25 was moved by Councillor Holmes and seconded by Councillor Simpson. Merton’s migrant communities contribute a huge amount to the borough, and are the heart of the borough’s cultural identity. 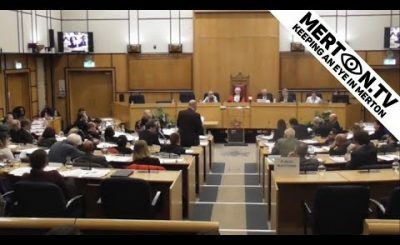 Merton Council expresses dismay at the ‘hostile environment’, and the financial and emotional impact this has had on the Windrush generation and their families, including children and grandchildren. the role the Caribbean High Commissions have played in lobbying the Government. Oppose the criminalisation of Windrush families. The Conservative amendment as set out in agenda item 26 was moved by Councillor Williams and seconded by Councillor Moulton. The Monitoring Officer advised that, in accordance with Part 4A, paragraph 10.4 of the Constitution, a recorded vote would be taken. Votes in favour: Councillors Barlow, Benbow, Adam Bush, Omar Bush, Crowe, Dean, Gretton, Holden, Holmes, Andrew Howard, Janice Howard, Latif, McLean, Moulton, Ormrod, Simpson and Williams. Votes against: Councillors Akyigyina, Alambritis, Allison, Anderson, Attawar, Bailey, Bokhari, Braund, Brunt, Butler, Byers, Christie, Chung, Cooper-Marbiah, Cowper, Dehaney, Draper, Fairclough, Fraser, Henry, Irons, Mark Kenny, Sally Kenny, Kirby, Kohler, Lanning, Macauley, Makin, McCabe, McGrath, Mundy, Pearce, Pritchard, Skeete, Southgate, Stringer, Ward, Whelton, Wilkinson and Deputy Mayor Councillor Stanford. Not voting: The Mayor, Councillor Curtin. The Monitoring Officer advised that, in accordance with Part 4A, paragraph 10.4 of the Constitution, a recorded vote would be taken on the original motion. Votes in favour: Councillors Akyigyina, Alambritis, Allison, Anderson, Attawar, Bailey, Bokhari, Braund, Brunt, Butler, Byers, Christie, Chung, Cooper-Marbiah, Cowper, Dehaney, Draper, Fairclough, Fraser, Henry, Irons, Mark Kenny, Sally Kenny, Kirby, Kohler, Lanning, Macauley, Makin, McCabe, McGrath, Mundy, Pearce, Pritchard, Skeete, Southgate, Stringer, Ward, Whelton, Wilkinson, the Deputy Mayor Councillor Stanford and the Mayor, Councillor Curtin. Votes against: Councillors Barlow, Benbow, Adam Bush, Omar Bush, Crowe, Dean, Gretton, Holden, Holmes, Andrew Howard, Janice Howard, Latif, McLean, Moulton, Ormrod, Simpson and Williams. That Council adopts the new 2019/20 scheme. 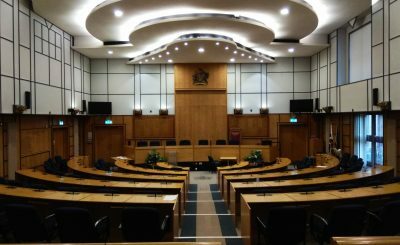 That Council agrees to implement the council tax technical reforms concerning the increased empty property premium from 1 April 2019 and subsequent years following the amendments to Section 11B of the Local Government Finance Act 1992. The report was moved by Councillor Draper seconded by Councillor Alambritis. That the Council adopts the revised draft Statement of Principles under the Gambling Act 2005, as approved by Members of the Licensing Committee on 10 October 2018. The report was moved by Councillor McCabe and seconded by Councillor Alambritis. Councillor Fairclough also spoke on the item. That the Council confirms that the power to refer to the Secretary of State under Regulation 23 of Local Authority (Public Health, Health and Wellbeing Boards and Health Scrutiny) Regulations 2013 is retained by the Council. The report was moved by Councillor Allison and seconded by Councillor Alambritis and Councillor Simpson spoke on the item. The report was put to a vote and was carried. That the Council notes the changes to memberships of committees made under delegated authority since the last meeting of the Council. 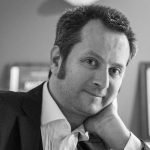 That Council agrees to appoint Councillor Adam Bush as Vice-Chair of the Pension Fund Investment Advisory Panel. Accepts receipt of a petition presented by Councillor McLean on the application of a blanket injunction banning illegal traveller incursions. That the Strategic Theme for the next ordinary meeting of the Council, being held on 6 February 2019, shall be Sustainable Communities with a focus on Air Quality.